Multifamily Utility Company is a national submetering and billing company that provides utility submetering solutions throughout the Illinois. When it comes to water, gas and electric submeters there is no shortage of options. At Multifamily Utility we understand how confusing it can be to pick the right equipment for your project. We also understand that picking the wrong equipment can prove to be very costly. That’s why as one of the leading utility and submetering companies in Illinois we work with property owners, managers and developers throughout the state to ensure they have the right submetering equipment for their projects. We specialize in submetering and allocation of water, gas and electric utilities for apartments, condominiums, commercial buildings, new construction, mobile homes and military housing. We work with some of the leading manufactures in the industry so that we can provide the best equipment for any situation. Some of the manufactures we work with include Master Meter, Norgas, Hexagram, Wellspring, Neptune and American Meter. To ensure you have the right equipment for your project we will send out a highly trained technician to do a complete analysis of your property. During the analysis we will find out what your goals are so that we can recommend the best possible submetering product. The use of Ratio Utility Billing System is allowed for billing the tenants of a multifamily housing unit in Illinois. The landlord is required to provide the tenants with a copy of the formula that is used to calculate the allocated utility payments between the residents of the community. This information shall be provided to the tenants before demanding payments for the utilities. The main emphasis is on disclosure of the information. The owners are not allowed to charge more than the total amount they are being charged by the public utilities. The tenants could request a copy of the public utility bill from the landlord for their records. At Multifamily Utility we work closely with local, state and national regulatory agencies to ensure every meter we recommend is code compliant. 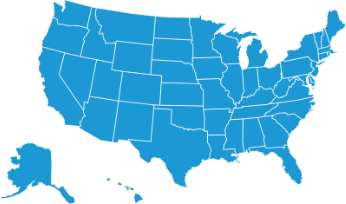 In some cases your state may require all submetering products be sent to a government office for inspection and testing. If that is the case we will do that on your behalf. Once everything has been approved we will move forward with the project. Before installation starts we will send out notices to all residents letting them know of the new submetering systems that are going to be installed. The goal is to make the transition for all involved as quick and easy as possible. Some of the benefits associated with installing a submetering system include conservation, better detection of leaks, less administrative work, reduced operating costs, improved property value and stabilized rents just to name a few. Besides submetering we also offer a host of other services designed to help you meet all of your property needs. Some of those services include Ratio Utility Billing Systems, Billing & Collections, Utility Expense Management, and Meter Compliance & Maintenance.